Yes, I tried signing in, but it did not work. We do not have our dear webmaster to contact any more, either. Indeed I can not enter, it must be a high maintenance work! Dear Ricardo, since FAPS changed the web host, I cannot get in...have you tried? You're welcome, Ricardo! :) The only way we differentiate between the two meanings is the context in which the word is used. 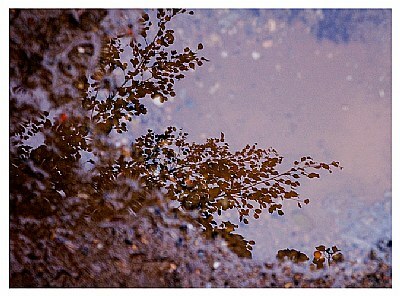 This was shot over a humble mud pond after a short rain in the early morning in a small "wood" close to my apartment. PS How do you differentiate in English from the apparent synonyms: "wood", the material of trees and "wood" as a dense growth of trees usually greater in extent than a grove and smaller than a forest -- often used in plural but singular or plural in construction?